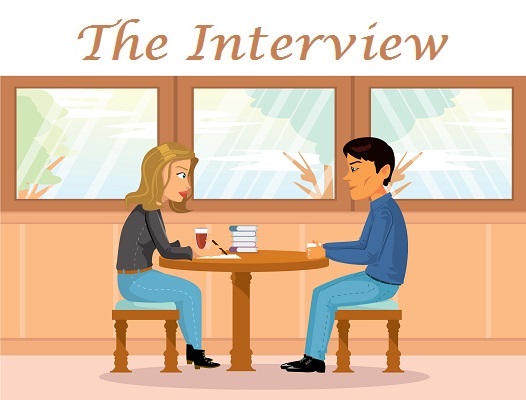 This week on ‘The Writing Life of:‘ I am thrilled to be interviewing author Mike Hollow. MIke will be sharing with us detail of his writing life, telling us all about his latest book ‘Enemy Action‘, which was released on 17th March 2017, and answering a few fun questions too. When I was a boy, I knew my grandad had been a soldier in the First World War, my dad had been a soldier in the Second World War, and therefore obviously by the time I was 18 I’d be a soldier in the Third World War. Fortunately that didn’t happen. What I wanted to be was something more peaceful – an architect, until some grown-up told me you had to be good at maths and it put me off, because I didn’t like algebra and geometry. By the time I was big enough to challenge this advice my heart had shifted to language and literature, but I still enjoy a well-designed building. Arthur Ransome (Swallows and Amazons, so exciting for a young townie), W.E. Johns (Biggles – told me what I needed to know to be an action hero), and C.S. Lewis (Narnia – how I yearned to find a wardrobe like that). Also Leslie Charteris – when I was 12 I chose one of his Saint books for a school prize, but the headmaster said it wasn’t suitable. So I got King Solomon’s Mines instead, and it wasn’t half as much fun as a cracking good Simon Templar adventure. When I was 17 I wrote poems for an ‘underground magazine’ (locally-produced countercultural newspapers popular in the late 1960s and early 70s). One of them later appeared literally underground – a reader had scrawled it on the wall of a London tube station. That’s when I learned something about reaching an audience. For years I was happy writing and performing occasional poems for pleasure. Some were published, one even in an A-level geography textbook, and one of my odder paid commissions was to express a housing charity’s mission statement in a ten-line poem. In my time working in communications for an international development charity and later as a freelance I enjoyed writing for publication, both journalism and copywriting – everything from feature articles to direct mail. But it was only five or six years ago that I took the plunge and tried my hand at fiction. I try to give four days a week to my writing, but I’m constantly thwarted by ‘admin’ – all the other stuff we have to do in life. There’s also a bit of overtime, when I wake up in the middle of the night with an idea for a scene or a character and have to write it down so as not to forget it by morning. I develop the characters and the plot over several months, and I often record my ideas by writing a scene or a sequence of dialogue as and when I think of it. That means when I get to the real ‘writing’ stage, quite a lot exists in draft form and I can chalk up enough finished words at the end of most days to make me happy. I motivate myself by recording my daily word count and seeing the total gradually moving towards my target for the book. My publisher asked whether I wanted to appear as myself or as ‘some other brand’, as if I had any. I decided that whether people loved my books or hated them, I had to own up to being responsible and put my real name on the front. I don’t have any rituals, but my patient wife graciously accepts that throughout the year’s work I put into a Blitz Detective novel I’ll tell her nothing about the plot or characters. This goes back to my poetry-writing days, when I found I could only make a poem if I kept it seething away inside until it was completed. If I started talking about the content, it felt as if I’d finished it and all that energy dissipated. So DI Jago pursues his quarry for months locked up in my head and is only allowed out when the last word is written. At university in the 1970s I used to type my essays on a portable typewriter, which meant I had to form each sentence fully in my head before committing it to paper – the thought of having to retype everything was a powerful inducement to construct my prose carefully. But I’ve been using word-processing since 1985, and it’s so convenient for revision that now I wouldn’t dream of writing on anything but a computer. Laptops irritate me, so I use a PC at my desk. I’m glad to say I don’t have a pile of dust-gathering unpublished manuscripts in my office, each representing years of my life – fortunately my unpublished work never got beyond ideas in my head. Before I started the Blitz Detective novels I’d had a couple of books published, but not fiction – one was poetry, the other history. The first Blitz Detective novel was published in 2015, the second in 2016 and the third in 2017, and I’m working on number four, which is currently in a state somewhere between idea in my head and pile of paper in the office. Definitely a plotter. I admire Lee Child, who says he starts writing and sees where the story takes him, but I’ve always found that whether I’m working on a poem or an article I decide the beginning and the end and then work out the journey from one to the other. For me it’s the same with a novel – I’m more of the Agatha Christie persuasion, plotting the whole thing out and then writing it. I think it’s particularly important in crime fiction, where you want to keep the reader guessing. Having said that, I do find that when I start the writing process I’m sometimes still not sure which of two or more characters might be the murderer. It’s also my experience that once the characters are fully developed in my mind and I start writing, they often push me in a different direction themselves. I do read the reviews, because I want to know what’s working well in my books and what I need to improve. I’ve worked as an editor and I’ve been edited, and I know I don’t get everything right all the time. Fifty people squashed into a stinking public air-raid shelter all night – babies screaming, old ladies crying, no beds, not even a light to see by. When the all-clear siren sounds, people disperse to home and work. But one man remains. He’s Paul Ramsey, a young teacher, and he’s dead – stabbed through the heart. Detective Inspector John Jago quickly establishes that the victim was a pacifist, desperate to avoid military service. Why, then, was he carrying a loaded revolver in his pocket? I started work on Enemy Action in September 2015 (having jotted down odd bits of ideas as they occurred to me while writing the previous book). I finished writing it in July 2016, and it was published in March 2017, so that’s about 16 months in all. I wanted my detective’s name to be memorable, with a particular rhythm, and of Cornish origin, and so I finally settled on Detective Inspector John Jago. As for the other characters, my main consideration was that they should have first names that were in common use at the time – I want my books to evoke life as it really was in 1940, so that’s just part of getting them historically accurate. I pick names from all sorts of period sources, but I find I’ll change a name several times during the writing process as the character develops – and then I have to watch out I don’t have a random Fred appearing 200 pages in because I’ve missed one of the changes! DI Jago has been round the block a few times – literally in his early days on the beat, and metaphorically in terms of life experience. He’s old enough to have served in the Army for the last couple of years of the First World War, and his experiences in France have helped shape his outlook both emotionally and philosophically. What makes him tick above all is a desire to put at least his little part of a broken and violent world back into order and peace. It’s always the opening scene – that business of engaging the reader’s attention, creating a mood, sowing the seeds of the mystery. And the final scene comes a close second! All my titles are short and have a wartime allusion. For the latest book, I chose Enemy Action firstly to reflect the irony of the murder victim’s death – he sought shelter from enemy action in an air raid shelter, but is found dead there because of the action of an enemy much closer to home. Secondly, the story includes characters involved in the pacifist movement as it was in 1940, when the question of how we treat our enemies (do we bomb their cities because they’ve bombed ours?) was hotly debated. The Blitz Detective series was my first foray into fiction, but I’d been published a couple of times before by Lion Hudson and so was able to pitch my idea to their fiction imprint. They liked the concept and told me to write a proposal and the first ten thousand words, which I did, but their response was that it wasn’t good enough. So armed with some helpful advice from them I spent a few months rewriting and resubmitted it – this time they liked it enough to give me a contract for the first book. That was a happy day. Breathed a sigh of relief, smiled to myself, and then wondered whether I should change it. I’m currently working on Blitz Detective novel number four, which I’m aiming (for which read desperately hoping) to finish by the end of July. All being well, that will come out in March 2018. A nice curry, but not too hot – I see no point in enjoying your food by destroying your taste buds. Green – it’s not my favourite colour, but if I had some blue paper I could maybe do bucolic landscapes with ready-made sky. Casablanca, with Ingrid Bergman and Humphrey Bogart – it has so many of my favourite lines. Waterloo Sunset, by the Kinks – it reminds me of sitting in my bedroom doing my homework, and I can’t resist its bitter-sweet evocation of love and London. A faithful manservant, like Lord Peter Wimsey’s Bunter or Paul Temple’s Charlie, who would take care of all life’s ‘admin’ and leave me to write to my heart’s content (in the sun-soaked Caribbean hideaway that I would buy with the rest). Wake up, stupid – you’re supposed to be writing! You can find out more about Mike Hollow by visiting the website/social media sites below. 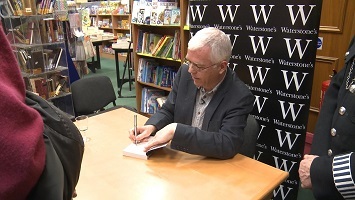 I would like to say a big thank you to Mike for sharing with us details of his writing life, and for a wonderful interview.